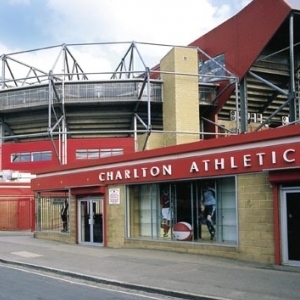 The ICT for Education national conference programme reaches London, Greenwich on 20 March 2015 at Charlton Athletic FC, The Valley, Floyd Road, London SE7 8BL..
Meet the experts, network with peers, solve practical problems and discover new resources in just one short day - free of charge! Pick up your conference badge(s) from Reception on the day. If you would like to bring colleagues, they can register before the event or on arrival. We look forward to meeting you in London, Greenwich. José has devised and implemented Surbiton High School’s 1-to-1 strategy after extensively researching the role of technology in supporting good practice. He will describe his school’s ICT journey and explore how a 1-to-1 deployment can support teaching and learning. Anne Marie Neatham is chief operating officer (COO) at Ocado Technology, the division that powers Ocado, the world’s largest online only grocery retailer. As COO of Ocado Technology, Anne Marie leads a variety of technical development and infrastructure departments in the UK and Poland. She completed a BSc in Computer Science at University College Cork before starting work as a software engineer and has worked in various technical roles in Ireland, the US, Germany and the UK. Anne Marie joined Ocado in 2001, to lead the development of early in-house support applications and has since led the opening of the company’s first international development centre in Poland. Anne Marie also leads the Code for Life initiative, at the heart of which is Rapid Router, a free and comprehensive teaching resource for coding in primary schools. Rapid Router is the first in a series of educational resources being created by Ocado Technology based on real life challenges within its business to inspire young people to take up a career in computer science. Irfan Amin is a specialist computing teacher, with a background in digital media. He is passionate about developing excellence in Computer Science education and establishing ‘outstanding’ provision in primary schools. He is currently developing 'The Digital Curriculum’, which aims to provide guidance and resources for schools to achieve this. Featured regularly on BBC TV and radio, Katie is a strategic marketing consultant, a social media trainer and conference speaker. She recently gave a TEDx talk in north London. Katie works closely with schools and universities, helping staff and students to understand the benefits and perils of social media. Katie is managing director of Zoodikers and is the chairperson for the South East/East Anglia division of the Public Relations Consultants Association (PRCA).